This challenge was given to me from our friends up at Selkirk Abbey, the new all Belgian brewery in Post Falls, Idaho. Remember Ron Wallace and Jeff Whitman sent this box along with a challenge for me. 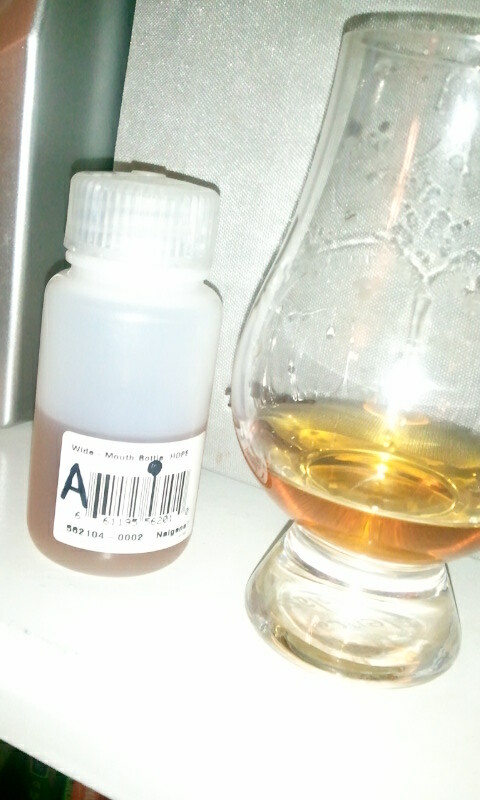 Four whiskeys, 1 top Shelf, 2 mid shelf, and 1 decidedly pedestrian whiskey from the nether reaches of the lower shelf. The challenge was for me to correctly identify which whiskey fit into which category. Well I have made my way through the entire box and I think I have it. Is a matter of fact, I’d be quite surprised if I was wrong, but they were probably pitching me a slow ball on this first round, remember there are 3 more rounds to go! What was truly interesting to me is I first nosed all the whiskeys at once, and just based on their smell I put them in an order best to worst. It turns out that that order was almost reversed from what I ultimately came up with for the true order of things based on flavor and mouthfeel and finish. Based upon nothing but smell I put the order Best to Worst as C,D,A,B. I don’t know if my sniffer is off, or if there is something to it. You know like great whiskies smell bad…kinda like cheese? It isn’t that they smelled bad, none of them did, but the worst whiskey of the bunch had this amazing vanilla, caramel smell, and the best one, all I could smell was a waft of alcohol and not much else. Perhaps I discovered that the nose for whiskey is less about the flavor than it is for beer, and if that is my only take away here, it has been a valuable lesson. Now to the whiskeys! Whiskey A was a wonderful smooth and full bodied whiskey, with one of the slickest mouthfeels I’ve ever experienced. Very oily and very pleasurable. This is undoubtedly the “Top Shelf” whiskey that I was sent. I’m thinking that this was a high rye whiskey, or perhaps a wheat whiskey that has been aged a long time like a Pappy 20. This whiskey was also by far the highest proof of all four. I can tell this by how it made me feel. One ounce of the stuff really put me on my heels. I wasn’t impaired, but I definitely felt the alcohol in this hooch. Is a matter of fact I drank this whiskey the first night and then drank the other three in one sitting, and I felt about the same after both. This whiskey started off sweet like sugar plumbs and transitioned to a nice leathery tobacco about mid palate, then finished with some nice oakiness and vanilla/caramel flavors. This was like drinking candy, but it was better, because it was bourbon! The finish was long and smooth. I’m conflicted here between a wheat whiskey that had long barrel time and a rye, because the finish was so smooth. This was a delightful drink, and one I will enjoy even more when I drink the next ounce! This Whiskey was also very good. This one I will say was a mid shelf offering, and probably a wheat whiskey based on its grainy smell and grape like flavors. It was very wine-like in its presentation and flavor. 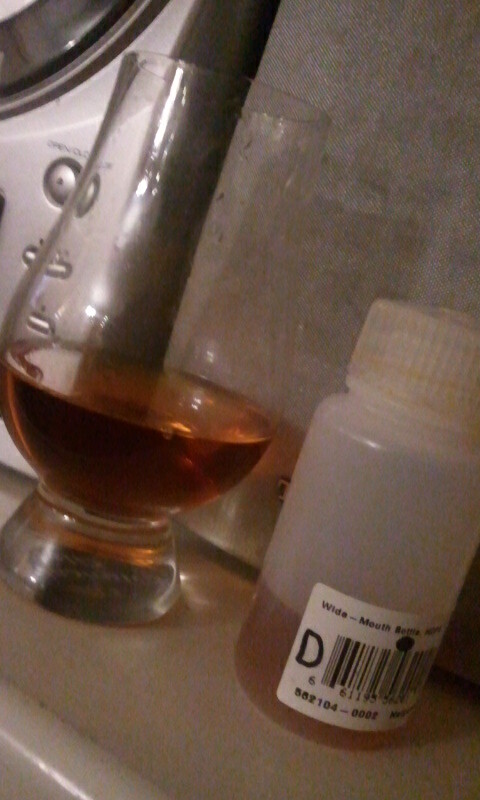 This too had a nice oily mouthfeel, although it was more medium bodied than the first whiskey. It had good legs and had a nice easy drinking feel and flavor. Flavor wise it was very grape like or light fruits like pear and apple. While the mouthfeel was lighter and a bit more watery than whiskey A it had a wonderful creaminess on the back end which was like an ice cream shake. If I didn’t know better I might say this was my house drinker Old Weller Antique. Nice stuff. This whiskey was the clunker. Bottom shelf all the way. I almost poured it out, but it really goes against my grain to sink pour whiskey, so I finished it. Probably use the rest in a barbecue sauce. Funny thing was that this whiskey had the best nose of them all, but flavor wise it was a let down. This whiskey had almost no legs, and the mouthfeel was straight up watery. This whiskey was absolutely unremarkable and that is really all I have to say about it. In my notes I said “Meh”, that sums it up nicely. Towards the end I was getting metallic esters much like I did with the bottle of JW Dant I bought two years ago and took one drink out of. This whiskey tried real hard, but at the end of the day it didn’t really trip my trigger. 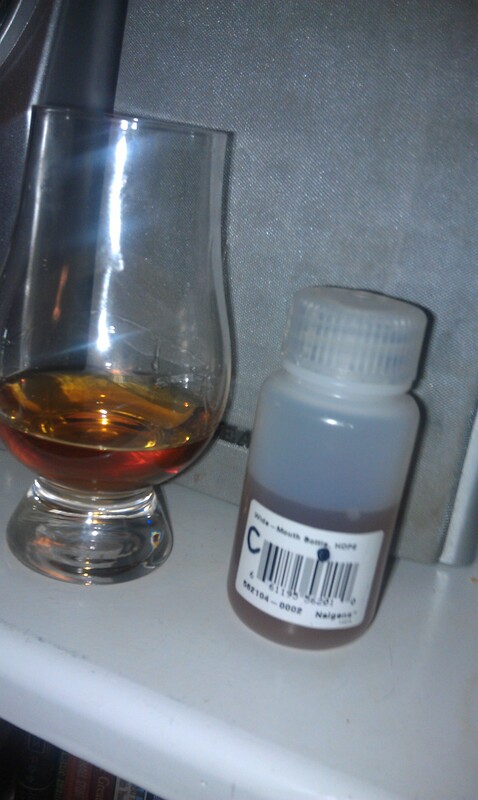 It was a high rye recipe and a bit harsh, which I just thought was ok, drinkable, but not really likable IMO. I’m certain that this is a middle shelf offering, but not everything from the mid shelf to the top will be great to every palate, and this one really just didn’t have it for me. I’d like to think this was the case, but it was also the third whiskey of the night, and perhaps my palate was getting tired. I’ll try it again with an open mind next time and see if I like it better. This whiskey was all wood, leather and tobacco. It had very little sweetness and had a rather harsh finish, although it wasn’t remarkably long. It did have a decent burn and the mouthfeel was good, medium bodied. 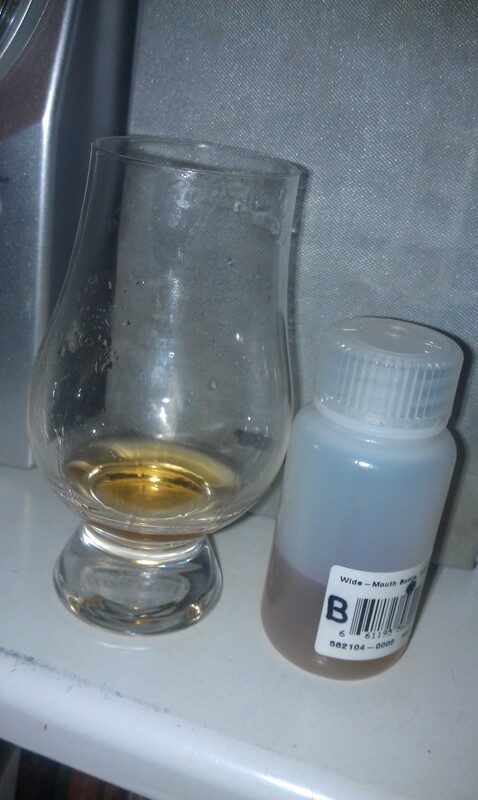 While I believe that Whiskey D and Whiskey B were both from the middle shelf region I much preferred Whiskey B to D. I like a sweeter flavor, and B had that down, where D was very savory in its flavor profile. Lots of people like that in a whiskey, and I like those flavors too, but I prefer them to be mixed in with a bit of sweetness. Whiskey A: “A” is for Amazing! Whiskey B: was the runner up. A nice middle shelfer. WhiskeyD: This one was good, but not my kind of good. 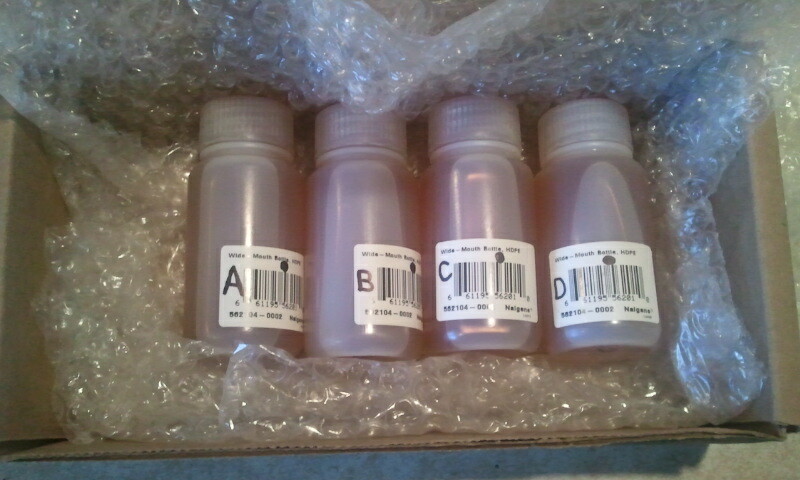 Now I just need to hear from Rob or Jeff and find out if my taster is hitting on all 8 cylinders or if I need a tune up! Excellent work, sir. I hope you enjoyed it! I was surprised by your evaluation of the Eagle Rare, but it just proves that preference doesn’t have to follow price. I hope you enjoy flight two, which will be on it’s way south for tasting pleasure this weekend. PS – you and Fred did have the same lineup, but that mistake will not be repeated. I have tried the Eagle Rare 10, and thought it was garbage. I’m glad I didn’t spend the $$ for the 17, as it would have been a total disappointment, and My wallet would be about $65 lighter. Surprised I didn’t like the Rare Breed more, as typically this is a good bourbon for me. I wonder, and I said as much in the post, whether my palate was fried by the time I had it. I’m gonna give it another go and see how I take to it with a clean palate. So based on this the order based on price is C, A, D, B? I’ve had Wathen’s Single Barrel, but I’m not entirely sure what Wathen’s Single Barrel Eight is? Been enjoying the Walthen’s single a lot myself. But more pressing, what’s your BBQ sauce recipe ? I’m always interested in recipes that can make good use of spirits, even if not spirits I’d buy ! I actually don’t have a BBQ sauce recipe that uses bourbon, but I’m thinking about making one. I have one that uses beer, but a Bourbon adjunct might be a nice addition. Wathen’s is a great bourbon, but I might have to dig mine out and give it a try. That is the problem with single barrel bourbons. I have a Wathen’s that is very good, but the one these guys sent me was quite obviously a honey barrel. Very well done! Donnie Boy! Glad to see flight one finished. Flight two will be prepared tomorrow and out by midweek. C. Eagle Rare 17 lists at $67.95. It is in the top 10 highest priced bourbons in the Idaho Price Book, and was the high end for this round. We haven’t determined which bourbons are in flight two, but rest assured the higher end gets higher, and the lower end may get lower. Hope you’re having fun with this!